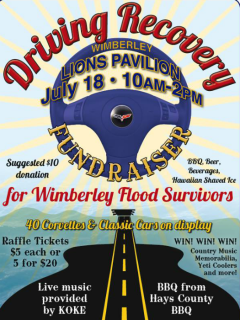 Come on out to this fundraising event for the Wimberley community. There will be live music, barbecue, a classic car show, tons of kid-friendly activities and an awesome raffle. Proceeds will benefit local organization, My Neighbor's Keeper.